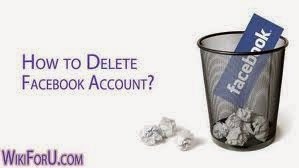 friends today i am gonna tell you about how to delete anyone Facebook account permanently. 2.Then follow this link delete my account and follow stpes. NOTE:- keep in mind that you will not be able to reactivate your account or retrieve.